Nudestix #TooCute 3 Mini Lip & Cheek Pencil Set For Holiday 2015 | Top Beauty Blog in the Philippines covering Makeup Reviews, Swatches, Skincare and More! Create a festive, glamourous makeup look with this trio Lip and Cheek Pencils in bold to soft shades. These ultra-creamy pencils are soft and can be used as lip liners, lip colors, and cheek creams. 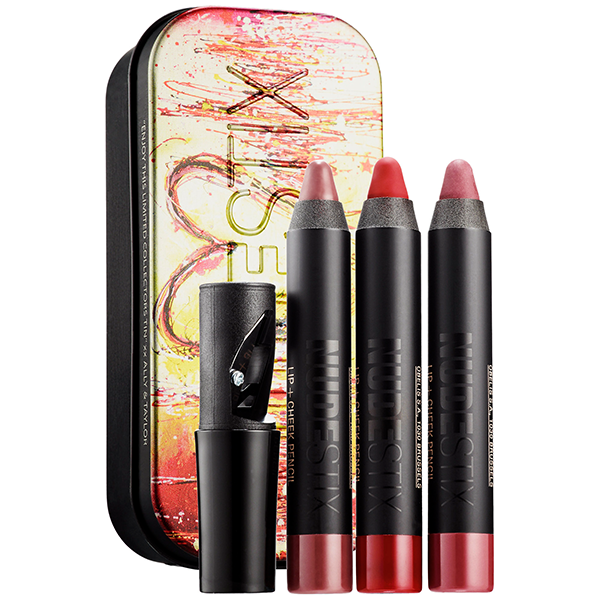 Featuring top-selling Mystic and Sin shades, and now introducing a preview of the Intense Matte Lip and Cheek Pencil in Satan red, these pencils offer excellent color payoff, coverage, and blendability and contain lip and skin hydrating ingredients, including skin-moisturizing vitamin E, shea butter, and peptides so that lips are mistletoe-ready. Qué chulo y el packaging también!! They look great, beautiful colours! Great review!!! Amazing colors! Love your blog! Beautiful colors, I love them and would love to try them. what daring colors! i must have them!